Braid Creator Calls Social Games "Evil"
Social games encourage people to use their friends as resources, says the outspoken indie developer. Jonathan Blow, the auteur developer behind indie hit Braid, has weighed in on social games, and as usual, he's not mincing his words. Blow described social games as "evil," not in a mustache-twirling, Saturday-morning-villain kind of way, but as a more genuine expression of selfishness. What's more, Blow though that name "social games" is actually something of a misnomer, because players usually couldn't meet anyone new. Blow said that games like World of Warcraft or Counter Strike were actually much more socially orientated, as players could forge new relationships with the members of their clan or guild and then work as a team. He thought that social games largely just exploited the friends list you already had, and were more about using your friends as resources, rather than working together. Interestingly, he said that the players weren't really to blame for letting themselves be taken advantage of, as he didn't think that they were aware that it was happening. He said that social games were designed to be inviting, which made it difficult for people to realize that they were being exploited. Instead, he blamed the developers, who he said were degrading the quality of the players' lives. He thought that the design philosophy of social games was to find new ways to siphon cash out of the players' pockets, and no effort was made to add anything to their lives. He said that it didn't matter to him if people were deriving pleasure from the game, because they were unethically designed and all about exploitation. Blow said that there was no other way to describe social games other than "evil," which he defined as, "selfishness to the detriment of others or to the detriment of the world." 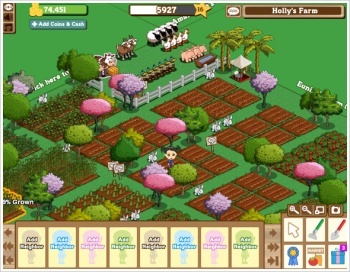 It's impossible to deny that social games are designed to make money out of their players - Zynga's recent multi-billion dollar is a testament to how effective that design is - but to call them evil seems a little excessive. Blow might not like social games, but to say that they degrade the people who play them is verging on hyperbole.